If you run a WordPress site you have probably contemplated already at some point whether or not you should implement the hot new Google AMP for mobile. We had the same dilemma here at Kinsta and ended up testing it for a while. In the end, we didn’t see good results and it ended up hurting our conversion rate on mobile devices. So today we are going to dive into how to disable Google AMP on your blog, and how to safely do it without 404 errors or harming your SEO. 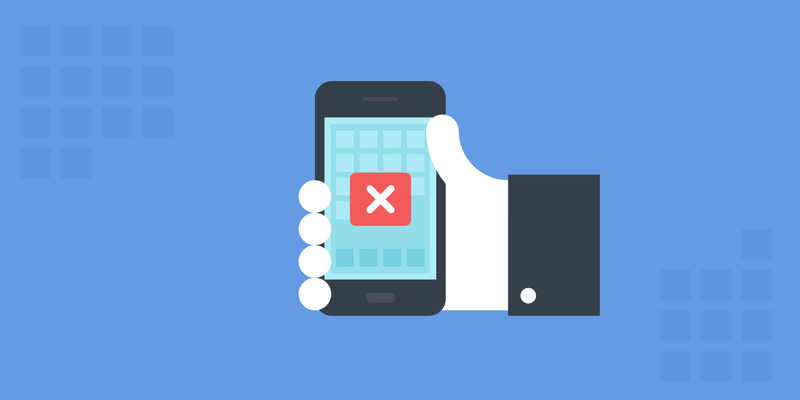 Simply deactivating the AMP plugin alone could end up really harming your site, so be careful. The good news is that both methods mentioned below don’t require a WordPress developer and can be done in a few minutes! Google AMP (Accelerated Mobile Pages Project) was originally launched back in October 2015. The project relies on AMP HTML, a new open framework built entirely out of existing web technologies, which allows websites to build light-weight web pages. To put it simply, it offers a way to serve up a stripped down version of your current web page. You can read more about it in our in-depth post on Google AMP, as well compare all the pros and cons. Looking at data in Google Search Console before and after. Comparing data from Google Analytics on your /amp/ URLs vs original URLs from organic traffic before and after. Here is some data from during the time AMP was enabled on our site. As you can see, after enabling Google AMP and allowing them time to index we definitely saw a decrease in average positions in SERPs on mobile. After enabling Google AMP we saw a decrease in CTR on mobile. After enabling Google AMP we did see a higher number of impressions. After enabling Google AMP we saw a slight increase in total clicks. Our mobile leads dropped by 59.09%. Our newsletter email sign-ups from mobile dropped by 16.67%. Our account creations from mobile devices dropped 10.53%. Because of this, we decided that Google AMP was not working for our business model. So why did we not see good results, when others do? Well, probably one of the biggest reasons is that our site is already pretty fast on mobile. So we didn’t see a huge increase in speed, as some other ad-heavy sites might have. According to Google, 70% of cellular network connections globally will occur at 3G or slower speeds through 2020. So while it is super important to optimize for mobile, those that already have a well-optimized site probably won’t notice huge differences. Another reason is that we don’t publish news. A lot of big publications are using AMP and taking advantage of the carousel in SERPs. A lot of big companies like The Washington Post, Gizmodo, and Wired all saw big improvements with Google AMP, but these are all news-oriented and ad-heavy content sites. We, of course, publish a lot of content, but our primary focus is still on generating leads and signing up customers. Could we have done more conversion rate optimization to our AMP install? Probably yes. There are ways to add CTAs, newsletter signups, etc. We did optimize for some of this. But after seeing the conversion data above it wasn’t worth managing Google AMP separately, which can be a pain, just to have a slightly faster mobile site. Also, a lot of our traffic and audience to the Kinsta blog is not from mobile to begin with, so we decided to disable Google AMP. Also, currently there are no SEO benefits from AMP yet unless you are a news site trying to score the carousel in SERPs. We analyzed our mobile rankings and after AMP was fully removed, our rankings actually went up. Again, this could just be from natural progress. But we saw no increases in SERPs from running AMP. If your site is slow to begin with though you might, so we always advise testing on your own site. Other brands have also seen no harmful impact from removing AMP, and like us, actually saw improvements. Outside Magazine increased pageviews per visit 13 percent after ditching Google AMP. There are a couple different ways you disable Google AMP. Google has their official documentation on how to remove AMP from Google Search. A big problem with this though is that it usually requires a developer and their instructions are not very WordPress friendly. Their very first step is to remove the rel=”amphtml” link from the canonical non-AMP page, while still leaving the AMP page in place. Thankfully though there are a few different ways to approach this without harming your SEO. You don’t want to simply disable the Google AMP plugin as this will result in 404 pages. The first option involves using a search and replace plugin to remove the rel=”amphtml” code while no-indexing the AMP pages. We can thank Gulshan Kumar who originally posted this strategy. 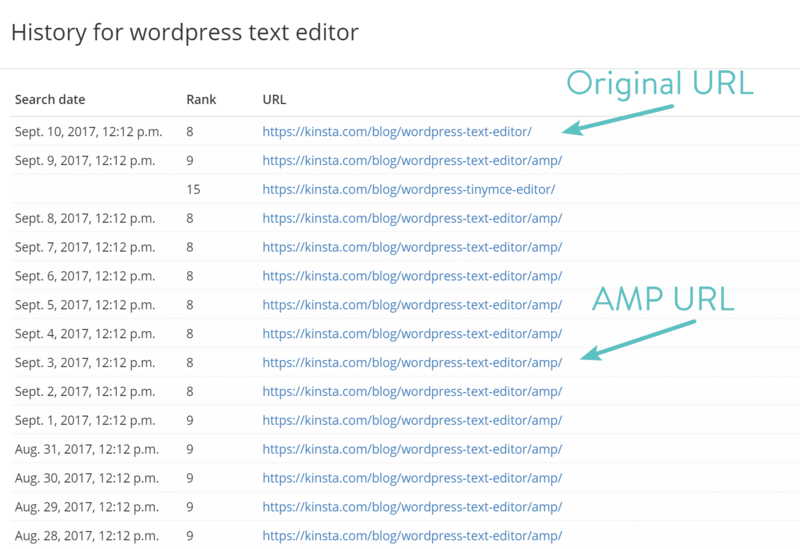 This assumes you are utilizing the free AMP for WP plugin. 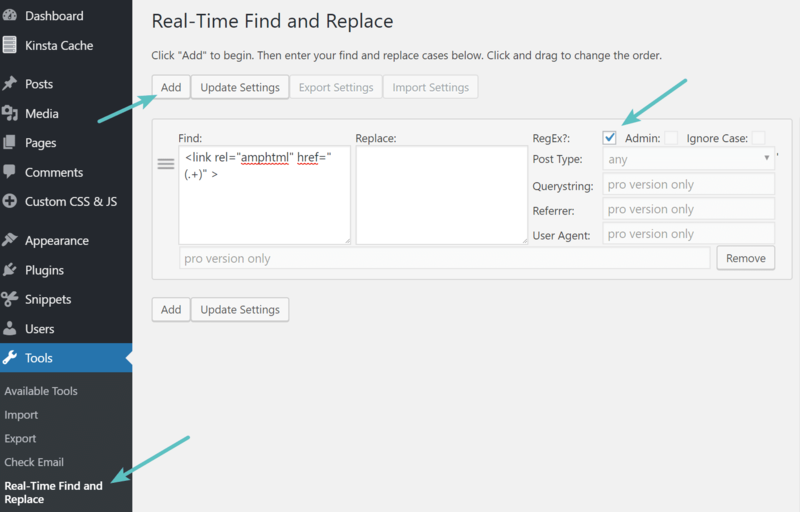 First, you will need to download and install the free WordPress Real-Time Find and Replace plugin. One of the great things about this plugin is that it doesn’t modify your database or site, so it is very safe to use on your site without worrying about breaking anything. Basically, it finds and replaces rules that are executed AFTER a page is generated by WordPress, but BEFORE it is sent to a user’s browser. If you are a developer, you could, of course, do a normal search and replace. And we normally we would recommend doing changes in the database long-term, but in this scenario, it works great to temporarily remove the AMP code while things are re-indexing. It also means you can easily do this without a developer. Although we always recommend still taking a backup! The plugin currently has over 60,000+ active installs with a 4.5 out of 5-star rating. You can download it from the WordPress repository or by searching for it within your WordPress dashboard under “Add New” plugins. Click on the box next to “RegEx” and then click on “Update Settings.” This will replace/remove that important AMP tag as Google recommends on your canonical non-AMP pages and or posts. This will tell Google to no longer index your AMP pages in search and therefore it will start re-indexing your original URLs for mobile. We recommend leaving the AMP plugin enabled until all of your AMP posts/pages have re-indexed over to the original URLs. We also recommend following the 301 redirects in option 2 below just to be safe! The second option is a little messier, but we’ve also seen this work fine. We recommend this option only if you have any issues implementing the method above. This involves simply disabling the AMP plugin and adding 301 redirects. Thanks to the AMP for WP for originally posting this. The first step is to simply add 301 redirects for everything that has an AMP URL. 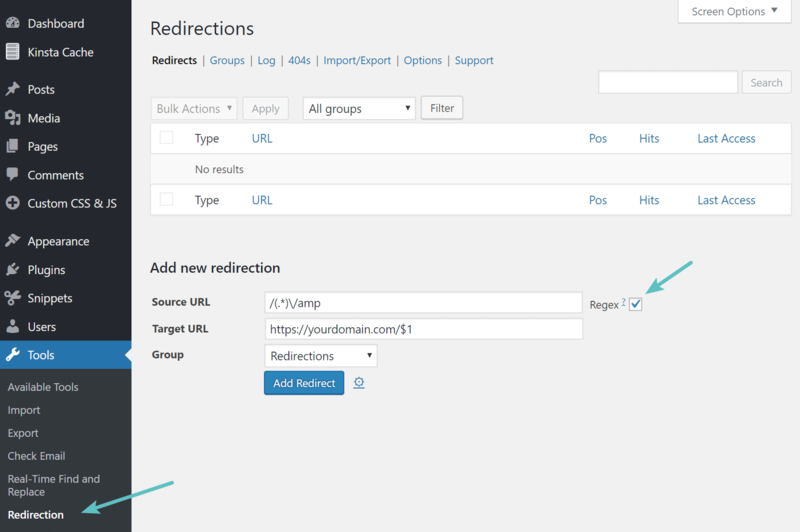 First, you will need to download and install the free WordPress Redirection plugin. You could use your own redirect solution or plugin, but the reason we recommend this one is because you will need one that supports regular expressions. You can always uninstall the plugin after everything has re-indexed. The plugin currently has over 1 million active installs with a 4 out of 5-star rating. You can download it from the WordPress repository or by searching for it within your WordPress dashboard under “Add New” plugins. After adding this we recommend browsing to a couple of your AMP blog posts or pages and test to make sure they are redirecting properly. 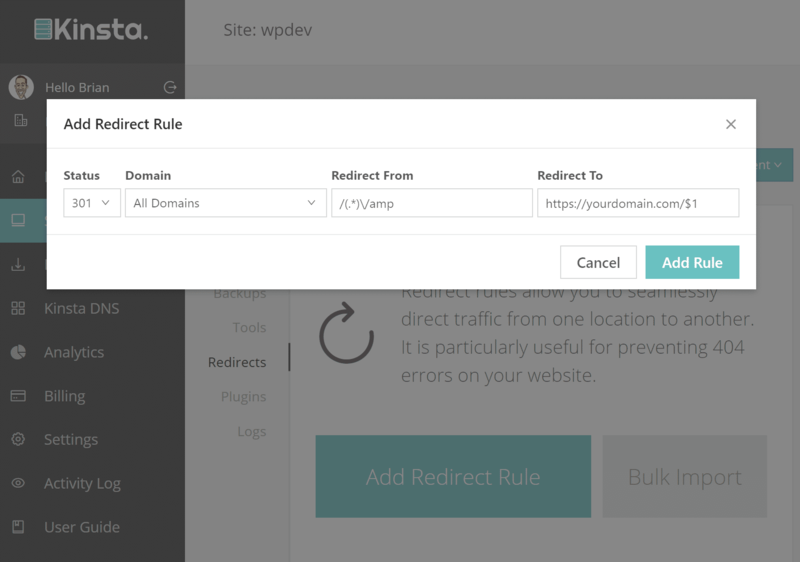 Also, if you are a Kinsta customer, you can skip installing the above plugin and simply add the global redirect from the redirects tool in your MyKinsta dashboard. Our tool supports regular expressions. You can then deactivate and uninstall the AMP for WP plugin. Make sure to check out our additional tips further below to monitor the re-indexing process. You can monitor the progress of removing Google AMP in Google Search Console under “Search Appearance > Accelerated Mobile Pages.” As you can see below, the moment we implemented the above strategy our AMP URLs started to de-index. You can also try resubmitting your sitemap file to speed up the process. Depending upon the number of AMP pages you have indexed this process could take anywhere from a couple days to a couple weeks. 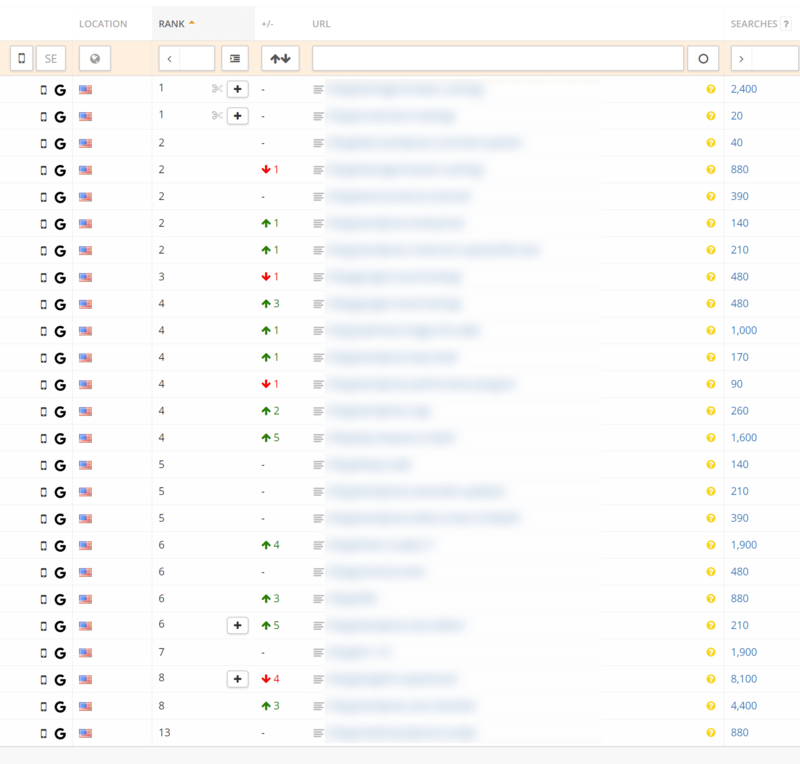 We also recommend utilizing a keyword rank tracking tool. For example, we monitor our desktop and mobile keywords here at Kinsta using Accuranker. It allowed us to easily see the history of each keyword and that the /amp/ URLs on mobile were re-indexing over to the original URL. This can be a quick and easy way to verify that everything goes smoothly. We all love faster mobile sites, and we applaud Google for trying to make the web a better place. But as we discussed above, perhaps you aren’t seeing the results you hoped for with Google AMP. We always recommend testing it as it could vary per industry. 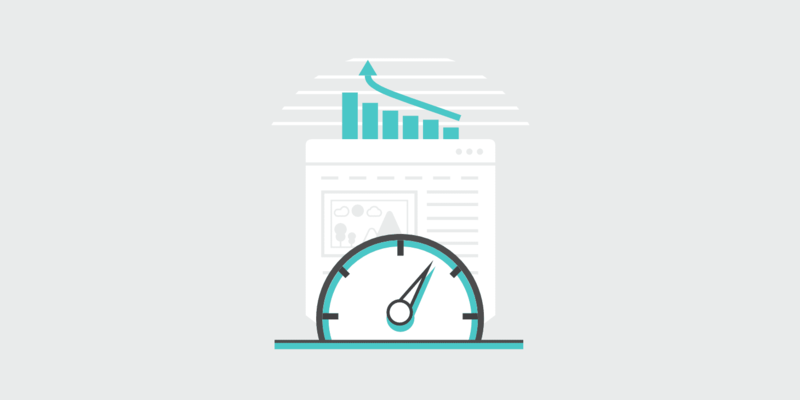 The amount of mobile traffic your site gets could also greatly impact your results. We aren’t the only ones that have had issues with AMP. Rock Star Coders saw a 70% drop in their conversion rate after testing AMP on their sites. Thankfully there are easy ways to disable Google AMP if you want to resort back to your original setup. Both of the options above don’t require a developer and will ensure your visitors don’t see nasty 404 errors, while retaining your rankings in SERPs. 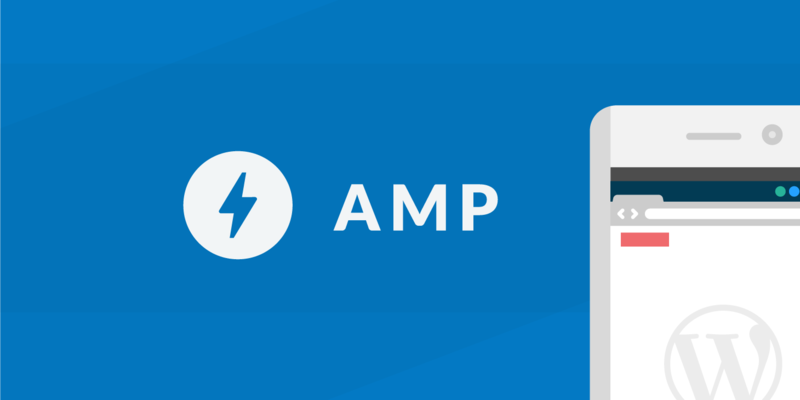 Have any questions or have you encountered your own issues when trying to disable Google AMP? If so, we would love to hear about them below in the comments. Thank you! This is helpful! I use the Redirection method. Thank you so much for sharing the eye-opening case-study, and the safest ways for taking down the AMP pages. I am pretty sure; most users will find it helpful. After implementing the Search & replace method, later after noindexing, a redirect can be setup from AMP to the non-AMP path to avoid possible 404 at old AMP permalinks. Below is a rule for it. Great thanks, I have updated the above post with the snippet :) Always good to have additional options. Thanks for the info. I made a mistake of using the AMP plugin and then simply deactivating it, which created a lot of 404 errors. If I want to use one of the solutions, which you have wrote about, do I need to re-install the AMP plugin? Solution #2 above doesn’t require the AMP plugin being installed. Brian, thanks for sharing this. I think the key takeaway is that you don’t necessarily need to jump on the AMP bandwagon unless you’re a high frequency news publisher and already have a reasonably fast mobile optimized website. I’ve used AMP, but didn’t really like how it works on my business website. You are right, the conversion rate drops a lot. I removed AMP and use the redirection method. This post has helped me. Thanks for this. I totally respect your opinion. I’m just curious, Did you optimize your AMP for the conversion rates as you did for your blog? Very informative. Thanks a ton. Hey Kingsley, it all depends on your site. Also, if you are a Google News site, the carousel in SERPs might be very important for you. However, we haven’t seen any increase in rankings in SERPs due to AMP. This might change in the future, but currently, there is no SEO advantage. Unless perhaps your mobile site is very slow. Hey, I want to enable the amp version again, how do i reverse this process again? Essentially yes. Option 2 would be very easy, as you can simply disable the redirect and enable AMP URLs again. I pondered the AMP implementation of cookies control under new GDPR regulation. At this time there is no way to implement it correctly, meaning separate choice for separate purposes. AMP technology is much behind the times so we decided to remove it completely for compliance purposes. Rule 1 had to deal with no greed option because the original regex is selecting up to the end of style tag. Using [^>] to forbid > inside the src attribute is not supported by the plugin even if the regex is correct. I installed amp on my site.. now google search is throwing up errors and looks like Ill have to pay to get them fixed. My rankings have dropped a bit on one of my pages, but I dont know if thats because of a competitor comiong to makrte or amp errors having a negative seo effect? Anyone else had this? amp errors negatively effecting rankings? People stopped commenting and what not. Yes Google AMP impacts every site in different ways. 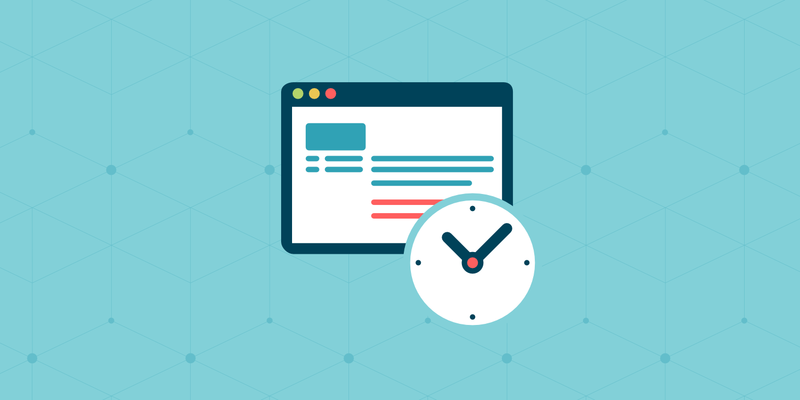 The best way to know if it will work for your site is to test it. Make sure to optimize after the fact as well. The AMP plugins typically have settings where you can add comments back in, CTAs, etc. Hey Brian I was using AMP for my wordpress website, but in one month I got unsatisfactory results, so I simply deactivated and removed that AMP plugin from my website but after removal I got my traffic decreased in Google Analytics. The most surprising thing is that the past records of traffic, in Google Analytics, was also decreased, I don’t know why? can you tell me? Did you follow all the instructions above? You can’t just remove the AMP plugin, you need to add 301 redirects. Otherwise, people will still hit your AMP URLs in Google’s index and then not arrive to your site at all. Make sure to follow all the steps above. Thanks Brian, was fed up with getting errors using AMP, I don’t like it at all. As a site owner and a visitor to other websites. It strips things out and I cannot stand it, followed your tips for redirecting via Kinsta redirect option, works like a dream! Great, glad to hear it Ben! Yes, why aren’t we improving our sites for mobile instead of porting them to another platform? AMP is great, but not fixing the original problem. We ran loads of speed tests with AMP installed on WP sites and there were no speed gains whatsoever, so dumped it…yes G is now reporting 404 errors about 3 months later…go figure why it’s taken so long. I’m not sure G actually has the human power to deliver to its previous standard – results on competitive fields are very poor unless an authority site happens to have a good article…! AMP end up hurting our company’s website. Maybe Google is selfish…thanks for the deactivation guide. I’m pleased to find this case study as it validates problems I have been having with one of my sites. After putting a lot of effort into my pages and server to reduce load times till they were very fast indeed, I implemented AMP using the AMPforWP plugin. Since then continuous improvements to the AMP and organic layouts have been needed, an increased amount of content per page required, subtle AMP validation issues to be understood and then conquered. The reward has been a decline in rankings and lead conversions for every keyword where an AMP page has been indexed in Google. Specifically it appears that AMP pages rank poorly in the Local 3-Pack; this has been very difficult for my service-area client who dispatches emergency vehicles in a 30-mile radius from his garage – a continuous erosion of incoming calls! I appreciate your honesty regarding Google’s latest fad, and, for the deactivation options. So glad it was helpful Dennis! We try to be as transparent as possible. I have a similar case study, After 9/24 algorithm update, I lost 30 percent of my blog traffic, mostly because more trusted sites, and gov site ranked higher than me, SO I decided to remove AMP, as I wanted to target featured snippet more than ranking first, and the AMP makes me lose a lot of the features we have on the page (design UX, UI). AMP is not always right for you! Case closed! I tried following both of these steps and, as recommended, I checked to see if my pages were redirecting. They aren’t. I went to the plugin and its registering my views as hits but that’s it. Any advice? Sorry to hear the above steps aren’t working for you. Due to the fact that every site is different, and perhaps you have a conflict with another plugin, we would recommend reaching out to your hosting provider for help. They might be able to see why your redirects aren’t happening. Hi, thanks for this article guide. This is what I’m looking for to disable AMP on my blog. I’m planning to use Option 2 – Disable and Add Redirects. I’m using AMP url format like this; mydomain.com/amp/url-post. Should I use the same regex format to redirect my amp page? Hey, Thanks for the amazing guide, But still I am confused! because the way 1 of “Real-Time Find and Replace” is not working for me. As I do that steps by installing a plugin and then follow other steps. My website is not opening! Then I leave the Way 1. Now I am following Way 2 by redirecting and deleting AMP. Is that okay and make sense? 2) CSS syntax error in tag ‘style amp-custom’. Just stumbled upon this article for removing AMP, and it looks pretty easy to follow. I’m fed up of AMP and it’s perpetual error messages, so I’ll be removing it in the next few days. One point here though – if Google really really wanted to improve site-speed by taking coding back into the 1960s and turning everything into sub-standard WAP sites, why don’t they just disable all of the bloated ads? Even news-heavy websites would run perfectly without ads – oh, hang on – Google would lose money, so GoogleWap is purely for THEIR benefit! I would like to know what source url should I use. Hi Brian, I am currently testing AMP too, to be honest I don’t have enough traffic to really test the impact on bottom end sign ups and leads, since my site is fairly new in a very competitive niche. So please keep this in mind when I say that I believe that AMP has got a bad name due to the lack of good WordPress Plugins that are trying to make AMP available at 1 click of a button or offering very limited and basic alternate sites. Understanding the difference between AMP code and standard HTML code will quickly tell you that it is not possible for these plugins to truly convert HTML to amp by cleaning it up. I have tested all the AMP plugins on WordPress and I, as many of the people here have had tormenting times with errors. In the case of the Plugins that create an alternate site altogether, the layouts are really crap. I launched this site last Thursday so I cannot really come here and tell you whether it is good or bad. I have seen a huge drop in ranking especially on mobile because my Keywords were ranking on the separate AMP pages and those have now moved to the original (canonical) url. I am confident that with some patience, this will work out long term since I believe that in the near future Google will prioritize AMP more and more and at the moment, most people are simply facing the same issues that everyone faced in the dotM era. Today single sites that support both mobile and desktop have overcome those problems and I believe that the same will happen with AMP. Anyways, I will stop blabbering, I would like to hear whether you agree with me or not. And I would also like to hear if you believe that the HUGE in rankings drop I am currently facing is temporary or whether you believe that it will not improve again. Thanks so much for this, my theme broke support for AMP. Using the redirection in .htaccess.